Why create another podcast? Well, we love podcasts. Because we have twin boys on the autism spectrum, our family has 17 years of experience with autism. Over the years we have received so much love and support from others. We decided that creating this podcast is a way to give back. This podcast is hosted by Chris (the dad) and Noah (one son with autism). Our goal is to talk about what it's like living with autism on a daily basis. We'll be interviewing family members, teachers, friends, people from the community, and perhaps a few surprise guests from time to time. 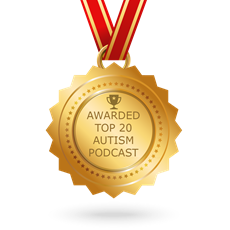 Our podcast made Feedspot's list of the Top 20 Autism Audio Podcasts & Radio You Must Subscribe and Listen to in 2019. Check out the full list here.